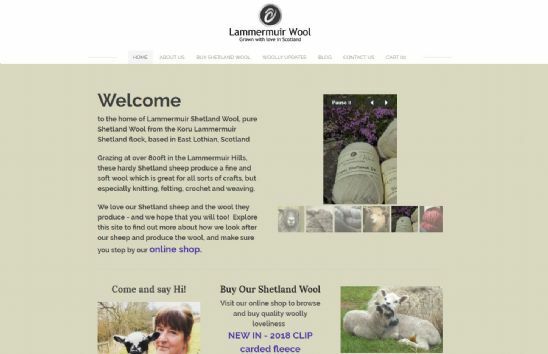 Lammermuir Shetland Wool produce pure Shetland Wool from their flock of sheep based in East Lothian. Their online shop allows you to buy their fine and soft wool for your knitting and craft projects. As well as the shop itself, you can learn more about the shearing process and read the latest news via their online blog. The company's motto is 'Grown with love in Scotland'. Having a .scot domain name for the website helps to show the products provenance and firmly shows the buyer that they are buying Scottish.